Jaslyn is the Founder of BrocnBells.com and The Busy Woman Project – both platforms built with a mission for individuals to live authentically, sustainably and be healthy mentally, physically, emotionally, socially. Jas is driven and inspired by growth, strength and experiences. She is also a lululemon ambassador. 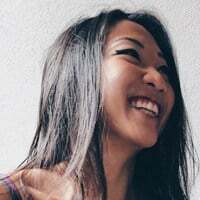 Prior to her entrepreneurial journey, Jas was in Investment Banking, based in Singapore. Markus is the Co-Founder of tryb and also serves on its Board of Directors. Prior to tryb, Markus co-founded Startupbootcamp FinTech, the largest innovation program in the fintech industry, with startup accelerator programs in London, Singapore and New York. There, he led investments in 20 fintech startups. 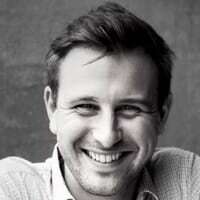 Before Startupbootcamp, Markus was founding member of various technology ventures in Europe. He is a passionate trail runner and enjoys a good pinot noir with French cheese. As a proponent of a healthy lifestyle, he also hosts the podcast ‘Mastering Mind & Body – A Chat About Being Uberhuman’. 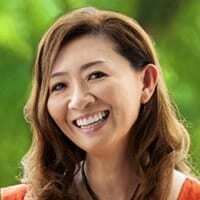 Lyn is a Asian, female, global senior leader in a Fortune Global 500 company. In a personal capacity, she is also the founder of a Bhutan-based boutique travel advisory service, focused on creating jobs for the locals, skills and capability development, exposure to cross-cultural and leadership exchange, and to support sustainable tourism. Lyn has close to two decades of experience in consulting and also the energy sector. She has been passionate in driving the Diversity and Inclusion agenda in areas such as gender balance, workplace disability inclusion and creating an inclusive work environment where all individuals are able to bring their best selves to work and perform at their best. Dr Lee is a Senior Consultant Psychiatrist at the Institute of Mental Health (IMH), Singapore. He is the Vice-Chairman Medical Board (Clinical) at IMH and was previously the Chief of the Department of Community Psychiatry from 2004 to 2014. He is a Clinical Senior Lecturer at Yong Loo Lin School of Medicine, National University of Singapore and Adjunct Associate Professor at Lee Kong Chian School of Medicine, Nanyang Technological University. 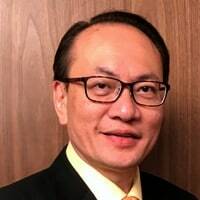 Dr Lee is currently the Vice President of the Singapore Association for Mental Health (SAMH) and the immediate past President of the Silver Ribbon Singapore (SRS). He is also a board member of the National Council for Social Service (NCSS) since 2014. He was the immediate President of the Singapore Psychiatric Association (SPA). Dr Lee was appointed as a Justice of the Peace in 2018. He is a recipient of the 2014 National Healthcare Group (NHG) Distinguished Achievement Award. He also received the Healthcare Humanity Award in 2008 and the Public Service (PS21) Star Service Award in 2010. 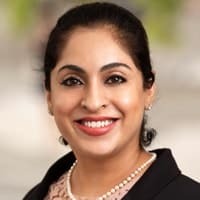 Amarjit is a Partner at Withers Khattarwong Singapore. She is a commercial disputes lawyer and has acted in high-value and complex litigation and international arbitration matters. She has represented Fortune 500 companies and ultra-high net-worth individuals in large scale professional negligence / construction disputes. Part of her practice centres around employment law, and involves guiding executives and companies through complex employment issues arising out of investigations, reduction in force exercises, terminations, etc. She is a front-runner in training and performing cultural assessments on #MeToo and diversity issues. She was recognised by the Singapore Business Review in 2017 as one of Singapore’s most influential lawyers aged 40 and under.